We love a good deal. Admit it. We pay close attention to every penny spent. We are constantly looking to maximize our rupee. We have a budget for everything. Be it diapers, groceries, clothes or even real estate. But there is one expense where none of this figures. Education. When did you ask yourself the question, is it worth it? I find a lot of people asking which curriculum they should select for their children. I think India is one of the few, if not only countries, where we have so many curricula to choose from. This can be daunting for most parents. While I believe that each of the boards/curriculum comes with its own pros and cons, what most parents do not consider is a) return-on-investment and b) attributes of their children. The education industry in India is one of the fastest growing industries, with a market share of approx. Rs 5.9 trillion. And we are all contributing to it without considering one very important aspect. ROI. Return-on-investment. Consider this. If you decide to send your child to a school with an international curriculum, be it IB, IGCSE or any other, you will be shelling out anything between Rs 60 lacs to a few crores by the time your child finishes school. This is not even considering college. Nor professional courses after undergrad. Going by this estimate, by the time your child is ready to go out and work, his education would have made you poorer by a few crores, if we consider the top end of the graph. Now, let us talk the ROI factor that I love harping on. According to a national index, which may not entirely be realistic and does not consider children from an elitist education, fresh college graduates may start on a salary of anything between Rs 2.5 lacs -3 lacs per annum for the first 5 years, doubling every 5 years till they reach mid to senior management. If we are to go by this estimate, in a span of 15 years, a person would earn in the range of Rs 1.5 – 2 crores in the first 15 years of his career. This means a working professional with the above qualifications will not start ‘making money’ till he is 40 or thereabouts. I am sure these figures are not as dismal as they look and many young professionals probably earn more. But this is an average estimate. In India, where parents spend on education for their children, the question of payback does not arise. Unless one has to apply for a loan, where it could further set you back. But it may be a good idea to keep these points in mind before you go out searching for an ideal curriculum or school for your children. After enjoying her life to homeschool her three kids, Sangita Jain Vasuraj, now curates natural soaps from her kitchen in Bangalore. 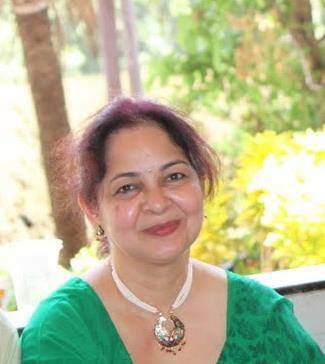 You can reach out to her not only for her “Soaps by Sangi” but also for her wisdom on parenting and education. this is an eye opener and came to me at right time, coincidentally I am looking for school admission for my son.. I am not so fancy about the so called elite schools.. looking for the best I can afford not according to the world..